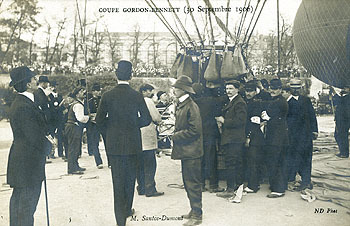 JACK812-Another close view of Sept. 30, 1906 Coupe Gordon-Bennett. 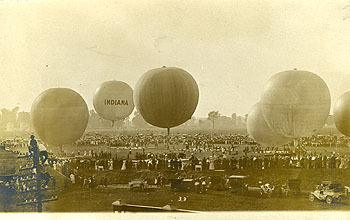 JACK813-Rare image of the National Balloon Race in Indianapolis. 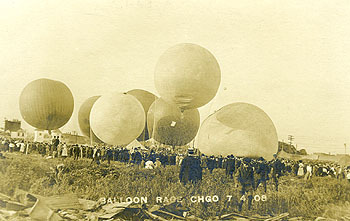 JACK814-Balloon Race, Chicago, July 4, 1908. 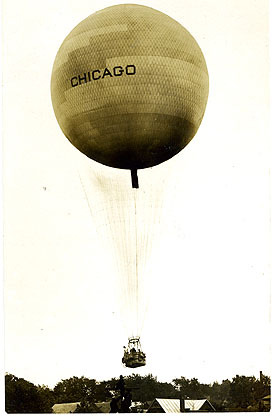 CANCEL: Chicago, IL, Aug. 20, 1908. 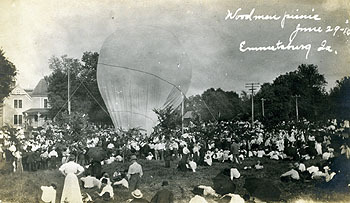 JACK815-A picnic at Emmetsburg, Iowa. 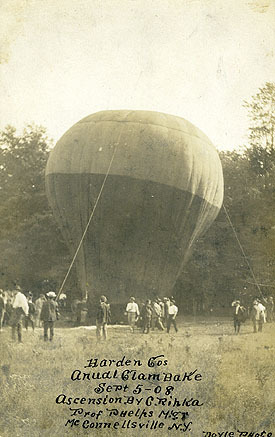 June 29, 1910. JACK816-A great close-up of the "Chicago" balloon at the country fair at Wheaton. CANCEL: Cloverdale, IL, July 15, l909. 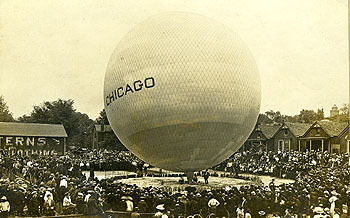 JACK817-"Chicago" balloon, June 7, 1908. 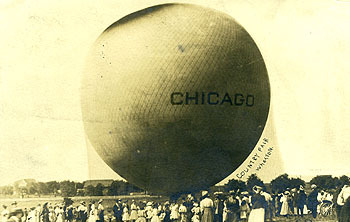 JACK818-"Chicago" airship. Handwriting on back dates the card June 3, 1908, Quincy, IL. 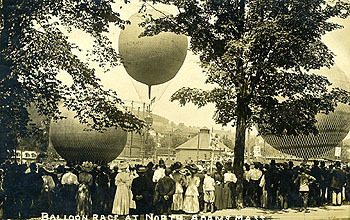 JACK819-A lovely image of a balloon race at North Adams, MA..
JACK820-An early "North Adams, #1" airship ready to leave the ground. Copyright by C.M. 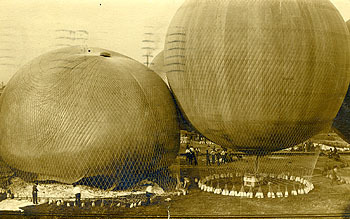 Whitmore, 1908. 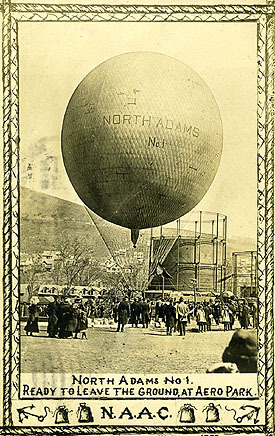 CANCEL: North Adams, Mass. Jun 8, 1911, Also, flag cancel on top of stamp. JACK821-This great image highlights the two men in the basket nicely. JACK822-A nice close-up of technology, autos and air balloons shown. 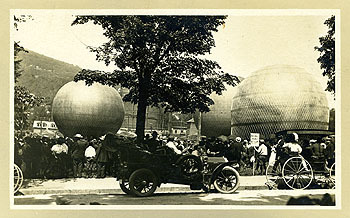 Back says, "The start shows all three balloons in inflation." 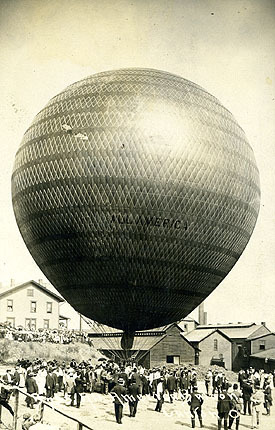 JACK823-Beautiful close-up of balloon by the Leiter Post Card Co. of Lorain, Ohio. More info on front at lower right if you can make it out. 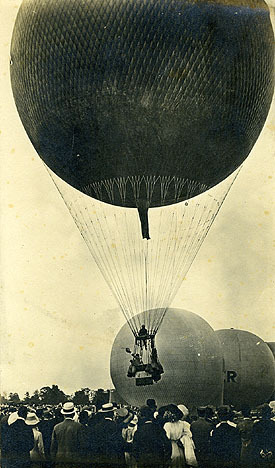 JACK824-Two balloons up front at St. Louis, Mo show. CANCEL: St. Louis, Mo, Oct. 15, 1909. 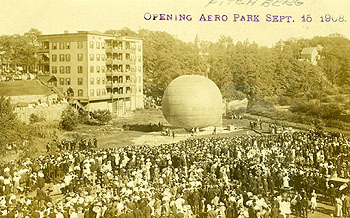 JACK825-The top states, "Opening Aero Park, Sept. 25, 1908." 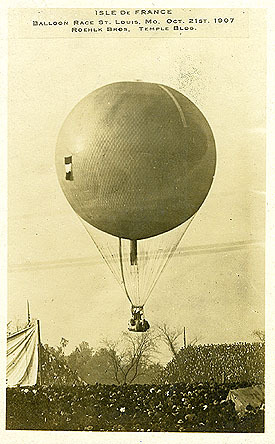 Hand-written at top says, "Fitchberg"
JACK826-Balloon Ascension, Ft. Omaha, Nusbaum (sp.?) 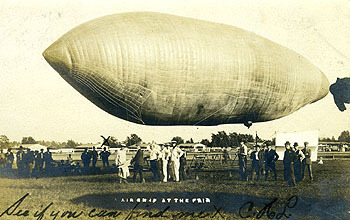 Ft. Omaha, Neb. published by THE NORTH AMERICAN POST CARD CO. (Famous) of Kansas City. 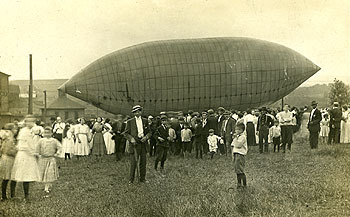 CANCEL: Omaha, Neb, May 3, 1911. JACK827-Harden Co. "Annual Clambake," Sept. 5,1908, ascension by C. Rihka, McConnellsville, NY, Doyle Photo. 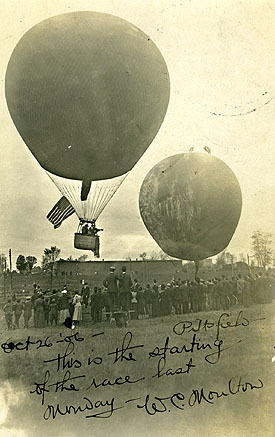 JACK828-Message states,"Oct 26, 1906, Pittsfield. This is the starting of the race last Monday. W.C. Moulton." JACK829-"Ile DeFrance" at St. Louis, Mo., Oct. 21, 1907. Roehlk Bros., Temple Bldg. 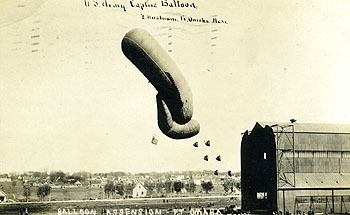 French flag on side of balloon. 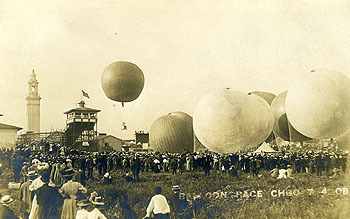 JACK830-Balloon Race, Chicago, July 4, 1908. 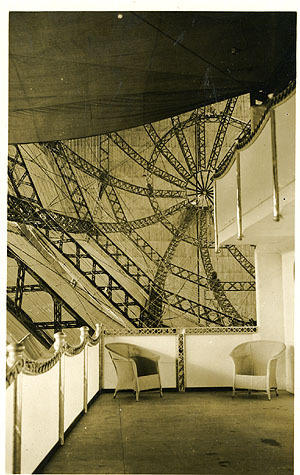 JACK831-A "Sitting Area" in a dirigible. No ID on card but there couldn't have been many. 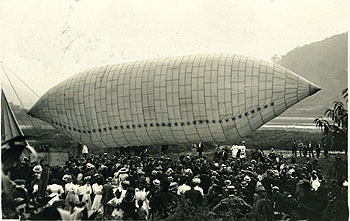 JACK832-A small crowd surrounds this dirigible. JACK833-"Airship at the fair." Early, undivided back. CANCEL: Franklin, Pa., Aug.22, 19?? 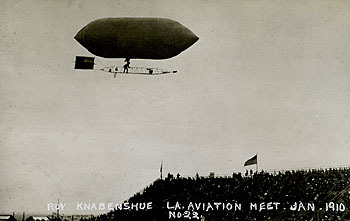 JACK835-Roy Knabenshue at L.A. Aviation Meet Jan.1910, no.22.